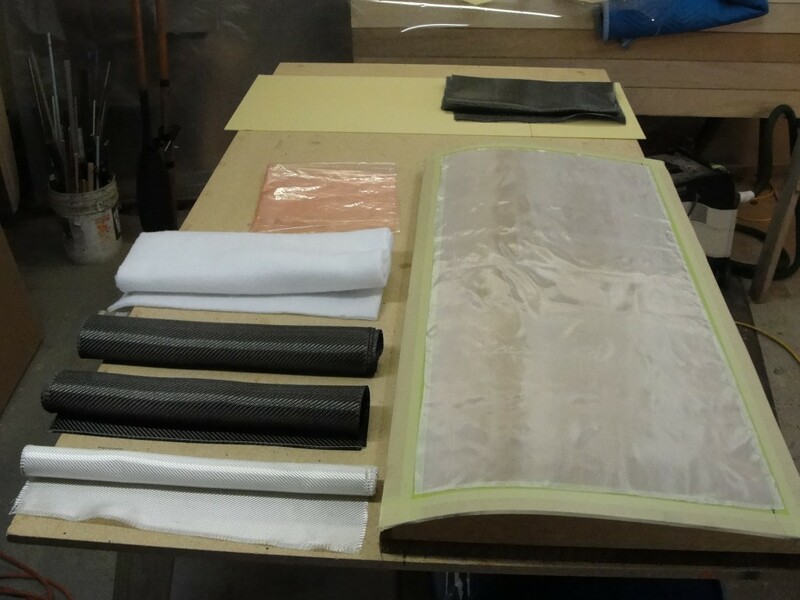 Experiment 2012 to create a kit for oars: High density foam and carbon fiber blades. Unfortunately, these kits would end up being very expensive as they require a lot of time and effort on the part of Russell. With all that he has to keep up with, this kit would not make sense for us. We have decided to leave oars to oar makers but thought you might find these pictures interesting. Please see our oars links page for oar resources. 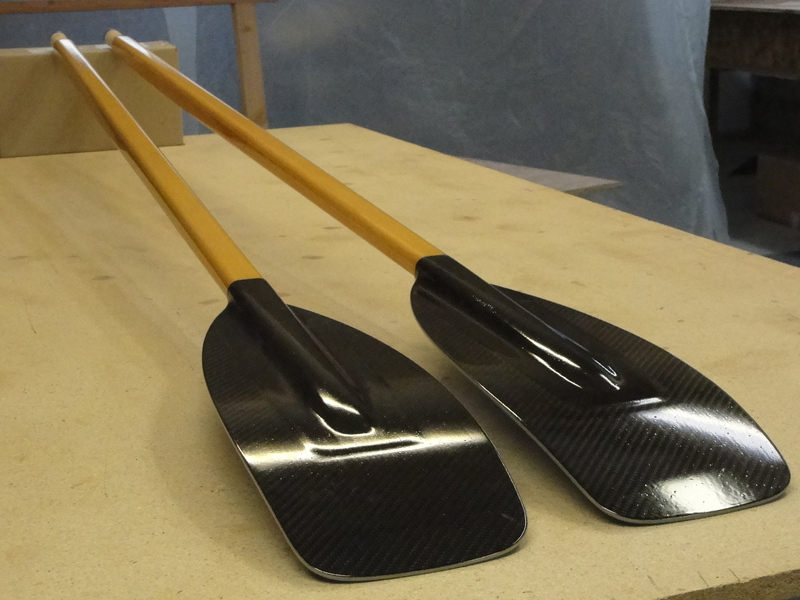 Do you know of oars that you really like? please let me know so I can add a link to the links list! Thank you. 7; finished oars. 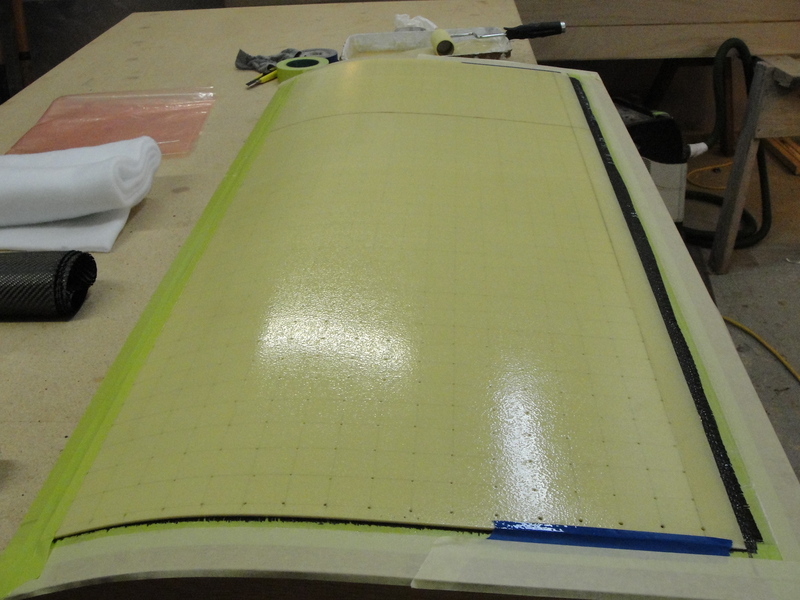 solid epoxy edges. 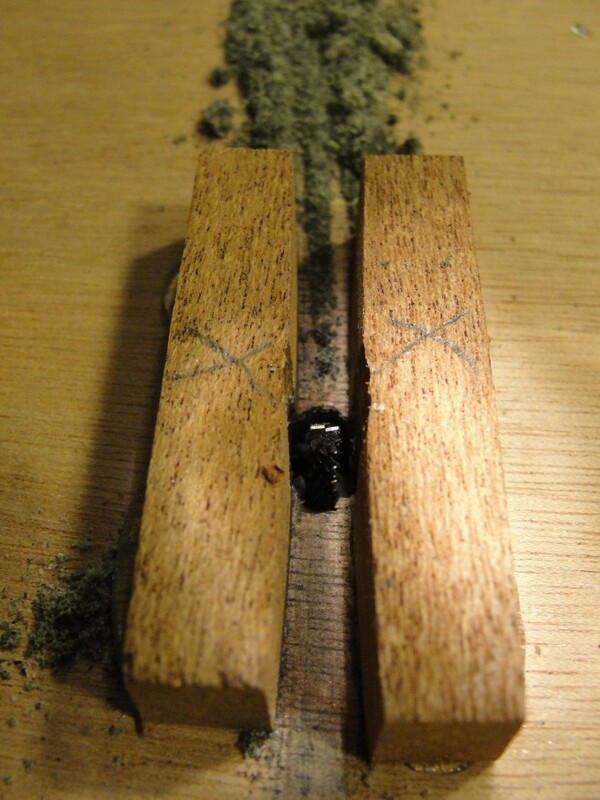 Douglas fir shafts. 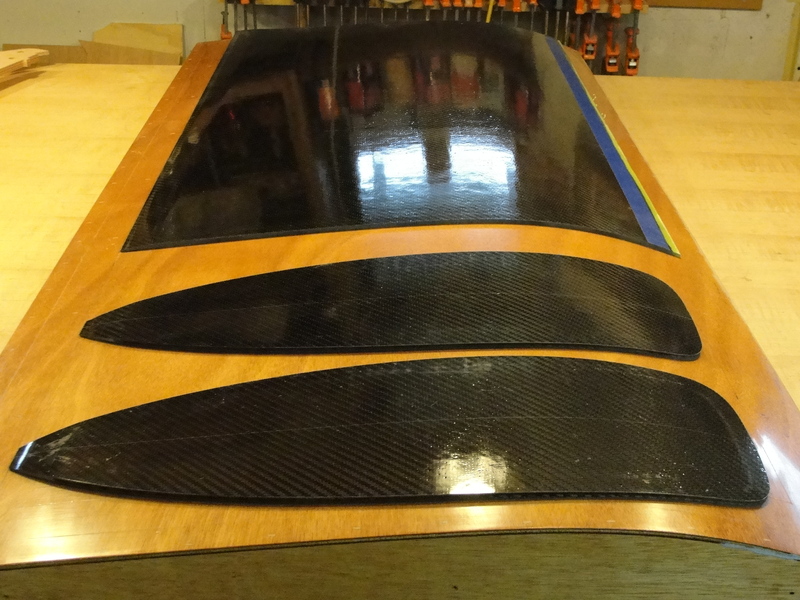 Would you like to make your own oar blades and small hardware? 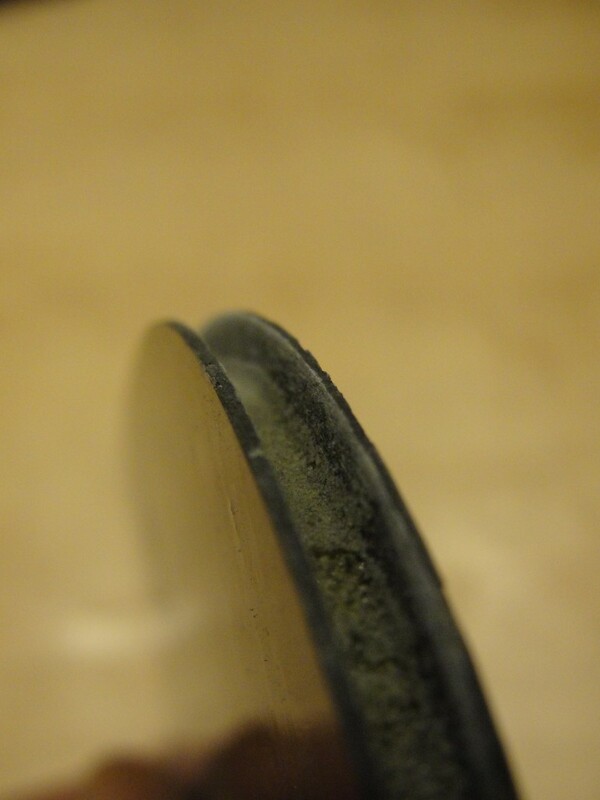 Russell has published an e-book /book about working with epoxy. More detailed topics are on the agenda for future publication. Have you seen our e-books/books page? 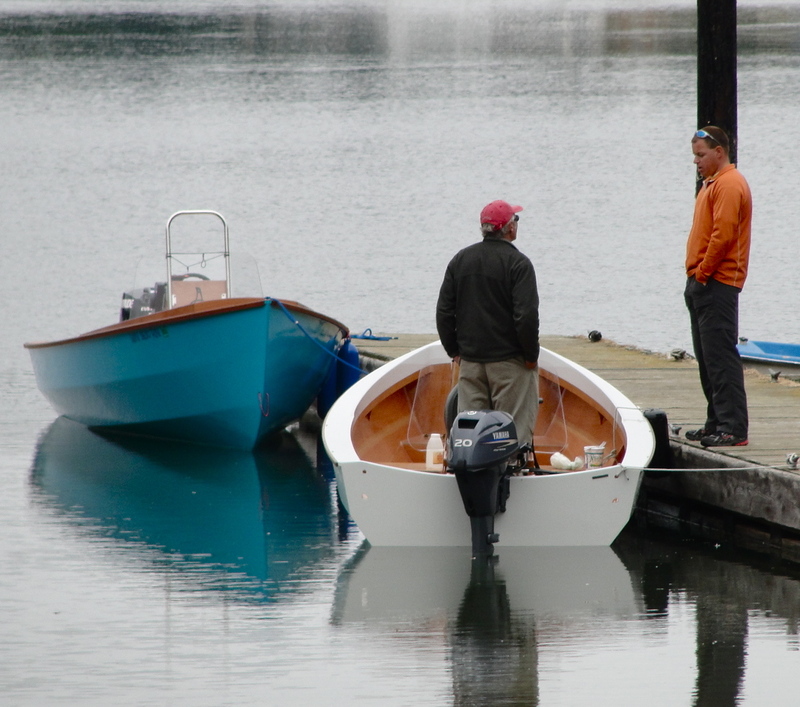 Our first PT Skiff builder, Jan, who built the PT Skiff, "PIKA", continues to create beautiful boats. "PIKA" was by far, not the first small boat he had built, but I will venture to say that it was a turning point for him. 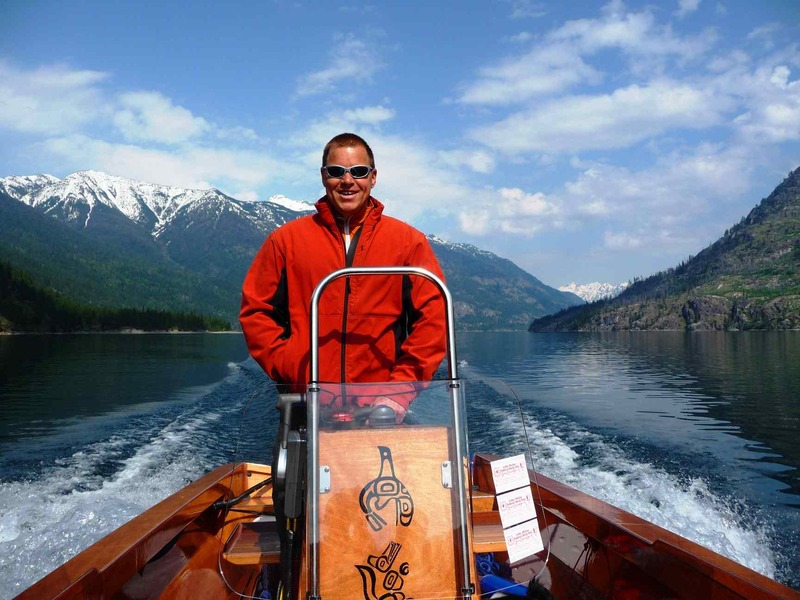 Exploring and camp cruising in 'PIKA" with his family led Jan to dream of a bigger, fuel efficient motor boat. When he could not find quite the design he wanted, he noted what he liked about the many possibilities and after absorbing Russell's confidence in him, combined them into an original design. 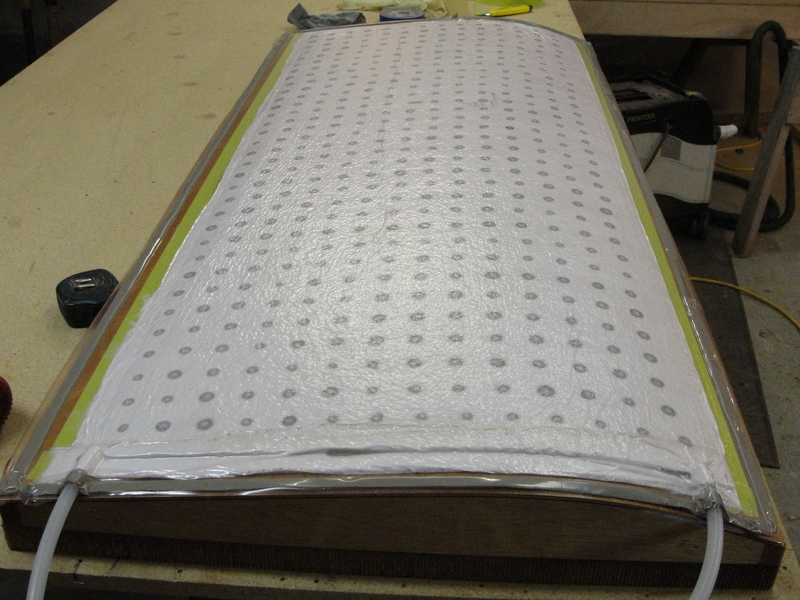 Jan's experience and detail oriented, methodical mind made him a good candidate for this. 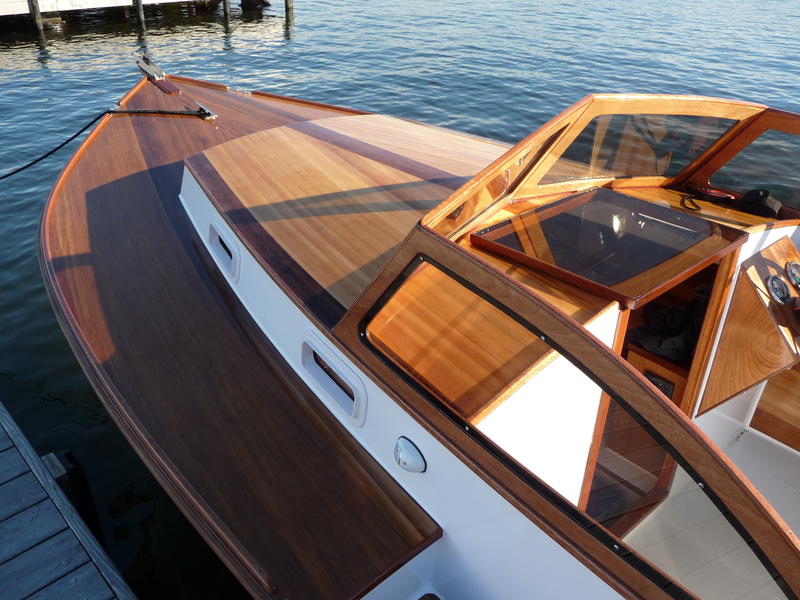 The result is "SYHOJA", a 22ft cedar strip planked and carbon sheathed, retro and yet very modern motor boat. 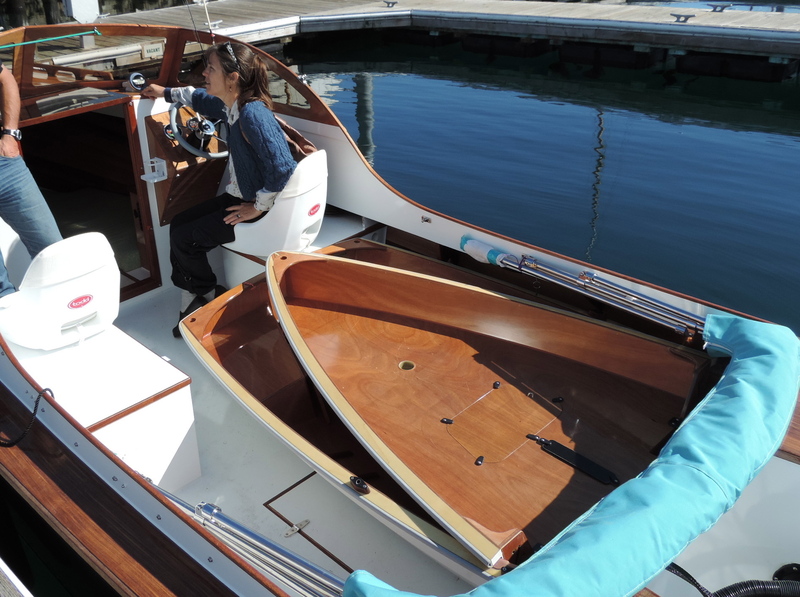 With her modified "V" hull shape "SYHOJA" runs on a 60HP E-tech outboard, quietly and efficiently. 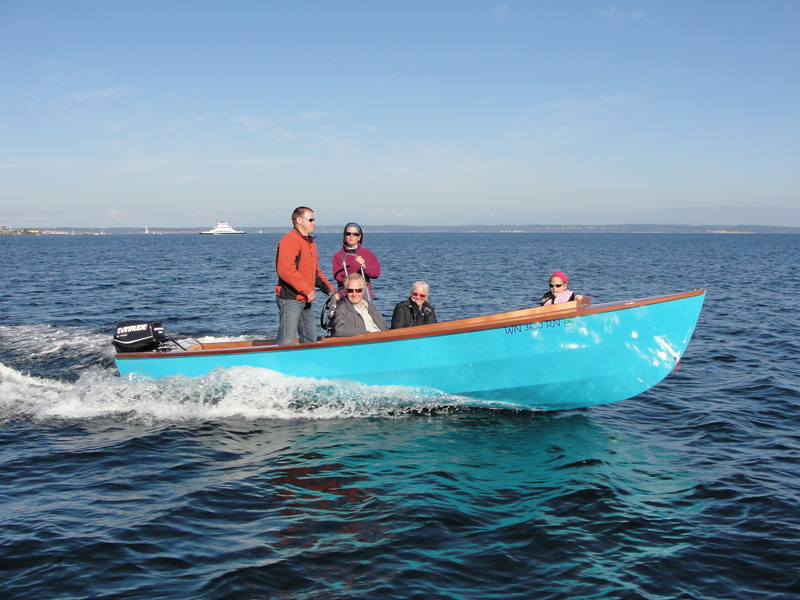 We caught just a little of "SYHOJA" on video at the Port Townsend Wooden Boat Festival 2013. 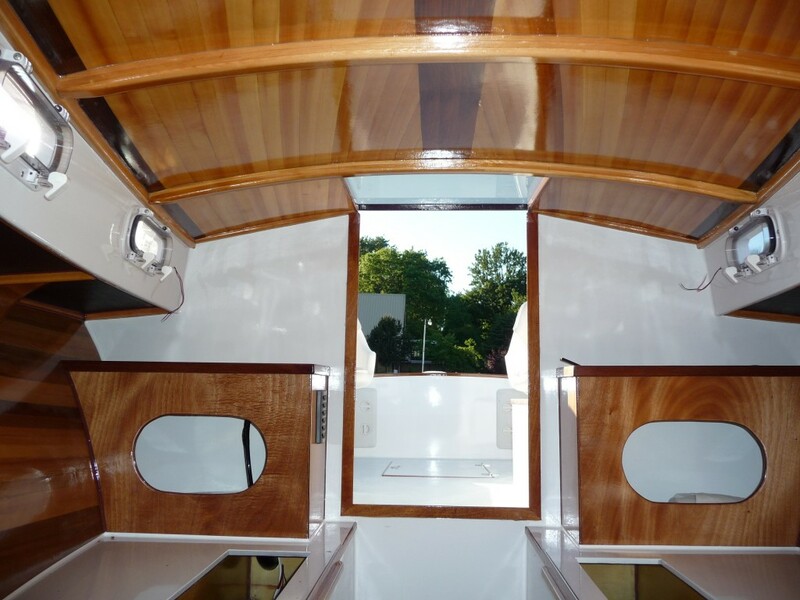 See the end of this post for Jan's description of the project and the boat specs and be sure to note the 16knots with 2.2gal/hr fuel consumption! Jan is now looking into a 'tender' for "SYHOJA" and he favors the PT 11 as both tender and toy. He recently came to PT from Seattle to fit a PT11 on board. The two positions tried were both a pretty neat fit. 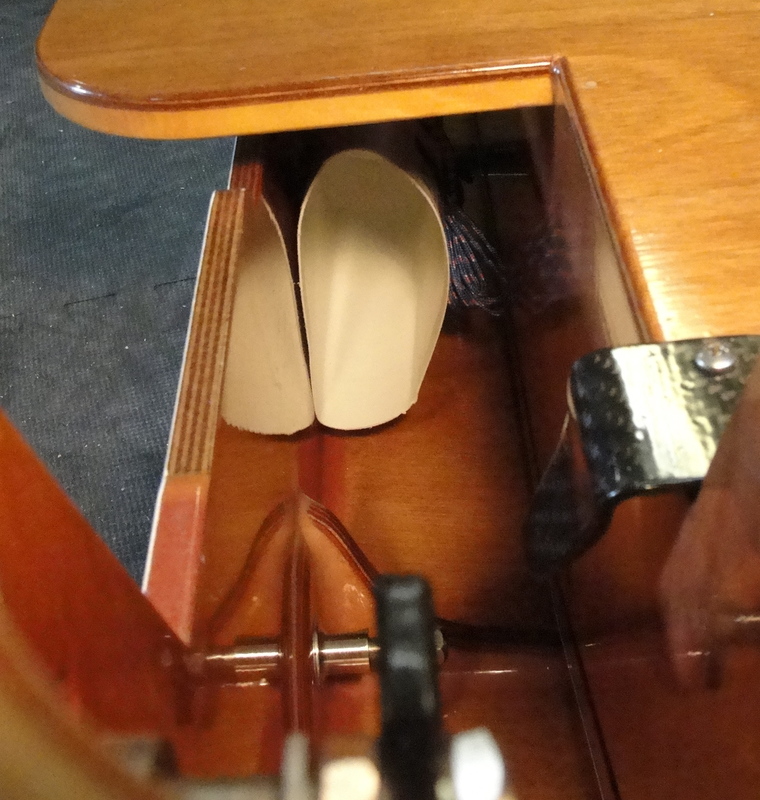 A third idea was to make a stand for holding the nested boat on edge. 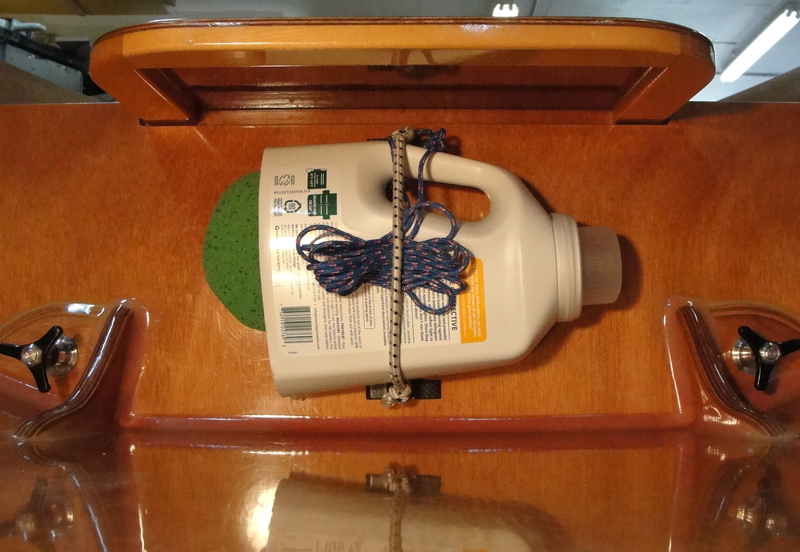 The idea here is that even small boats often need a tender and a good nesting dinghy is a great option. With small boat camp cruising getting ever more popular, we are seeing an evolution in home built, "pocket" cruisers. The mind set is leaning ever more towards fuel efficiency, minimal cost, and minimum waste. Further, people want to spend less effort on transporting and storing their boats, and are having more fun with less. Having a good rowing/sailing dinghy as part of the package, really adds to the fun. "PIKA" and "SYHOJA" have been family projects for Jan & Holi and their daughter, Sydney. I find it inspiring to see how they have enjoyed it all and each is personally invested in ownership of the whole process of dreaming, choosing, creating and using their family boats. I have no doubt that the next project will be as beautifully executed and thoroughly enjoyed as their previous endeavors. 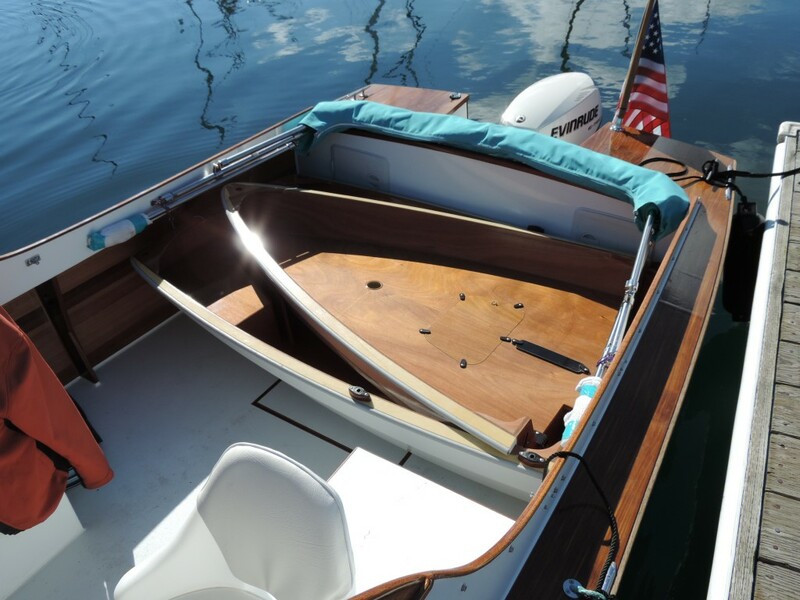 Russell and I really like the idea of getting more individuals & families involved in back yard boat building and away from today’s addiction to electronics. “SYHOJA” is a one off design and therefore, plans are not available. 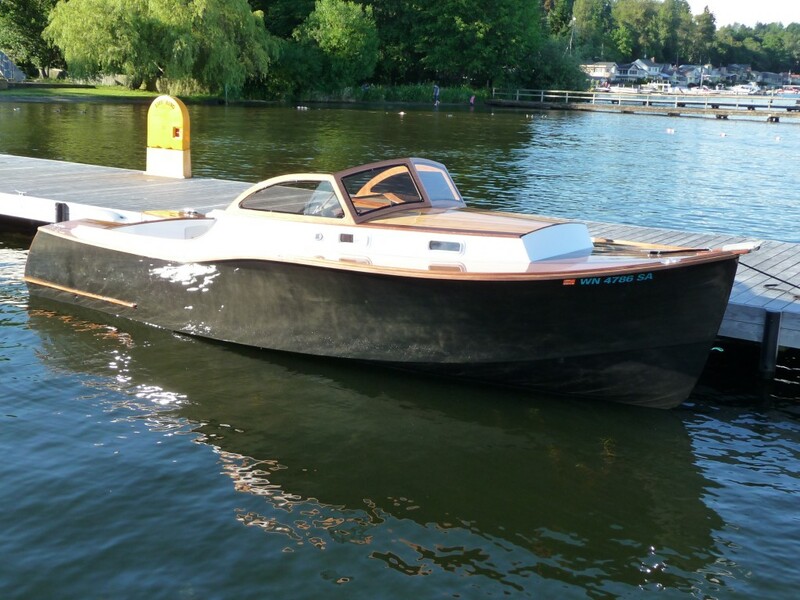 Now that "SYHOJA" is the family boat, "PIKA" is actively for sale. 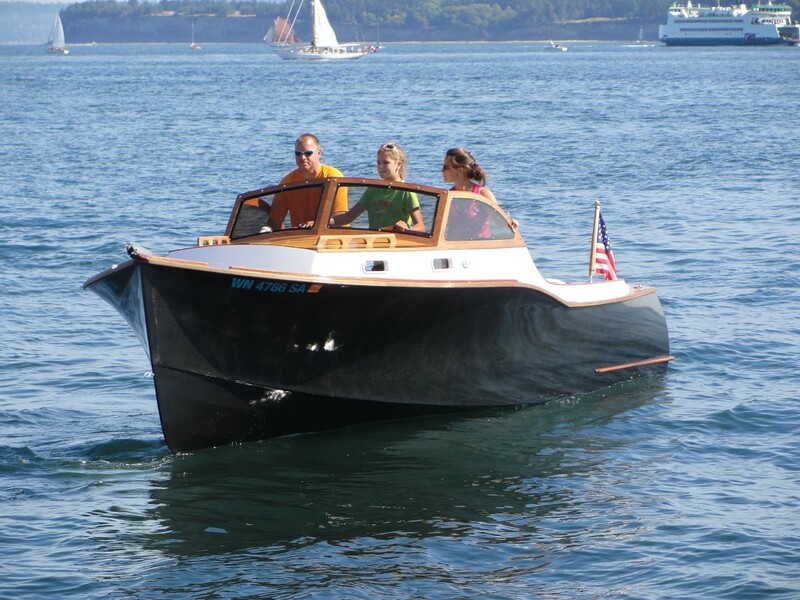 Designer notes & SPECS from Jan: "The concept for SYHOJA was for a fuel efficient planing cabin cruiser for a couple + teenage daughter (if she wanted to come along) for day trips and up to week long cruising in the PNW. While we do not need to travel at excessive speeds in our beautiful cruising ground, we have found that 14-16 kn is a nice cruising speed to cover the sometimes larger distances between anchorages, and having some speed in reserve allows a small boat to make use of a weather window or even "make a run for home". While small by many standards, 22 ft was the absolute longest hull I could build in my 2 car garage, and even this required a temporary addition to provide the necessary space. 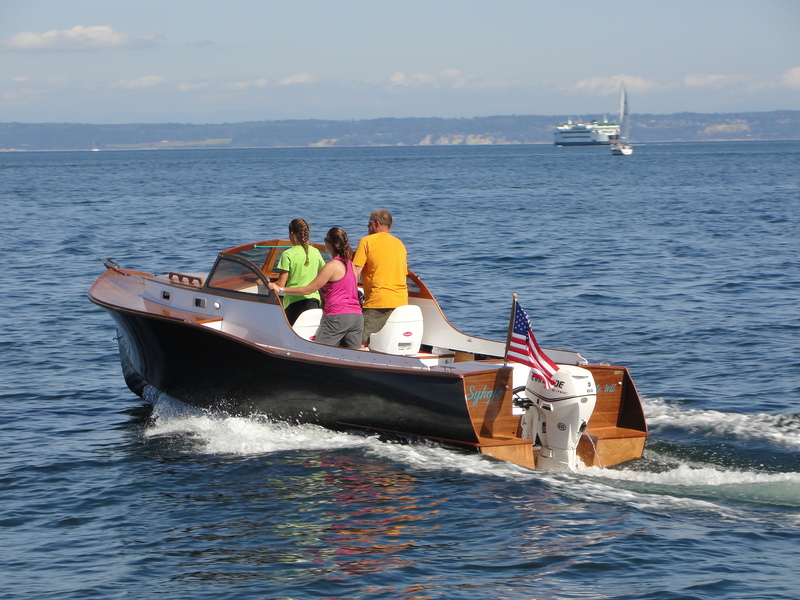 However, we are content with few amenities and are comfortable operating a small boat in the reasonably sheltered waters of the PNW. For the brisker days we have a full cockpit enclosure, which also provides our "living room" while at anchor. For our inaugural family cruise we spent 8 wonderful days this July along the Sunshine Coast of BC and Princess Louisa Inlet. SYHOJA exceeded all of our expectations. "